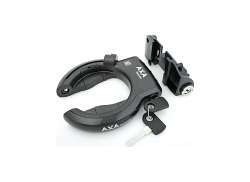 The largest and most affordable Online Frame Lock E-Bike Shop! Frame Lock E-Bike shop the largest and most affordable! 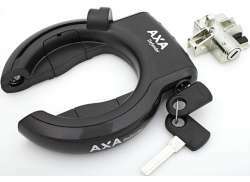 Do you want to buy an E-Bike Frame Lock online? 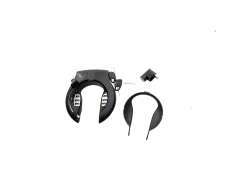 Hollandbikeshop.com has all the Frame Locks for your E-Bike. E-bikes and e-bike batteries are hot items among bicycle thieves. So, how will you protect your electric bicycle against theft? Taking removable parts off of your e-bike whenever you park it is recommended. We also advise you to use at least two locks (three, if possible) to lock your e-bike. Breaking several locks takes time and requires knowledge of different types of locks, something not every thief possesses. Chain locks and U-locks are great for this purpose, as well as e-bike frame locks, which are generally more robust than regular bicycle locks. 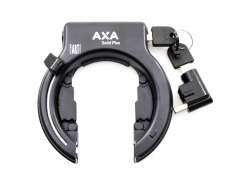 At Hollandbikeshop.com you can find a wide choice of sturdy E-Bike Frame Locks by AXA, Trelock, Cortina and Abus. 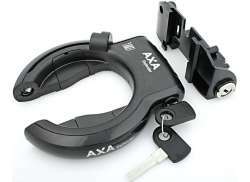 Are you looking for a frame lock, a battery lock, or both? No problem. In our wide range of Bicycle Locks on Hollandbikeshop.com you can find frame locks for the e-bike and frame lock sets for e-bike batteries in various colors, sizes and models. You're sure to find the right frame lock to protect your e-bike here. 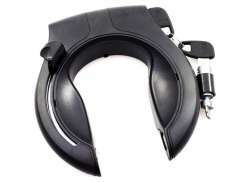 Hollandbikeshop.com is dealer of E-Bike Frame Locks and has a large and affordable range. 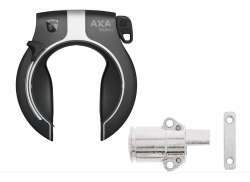 We also often have Frame Locks for the E-Bike on sale or in our outlet, so keep an eye on our sale button. The largest and most affordable E-Bike Frame Lock shop!